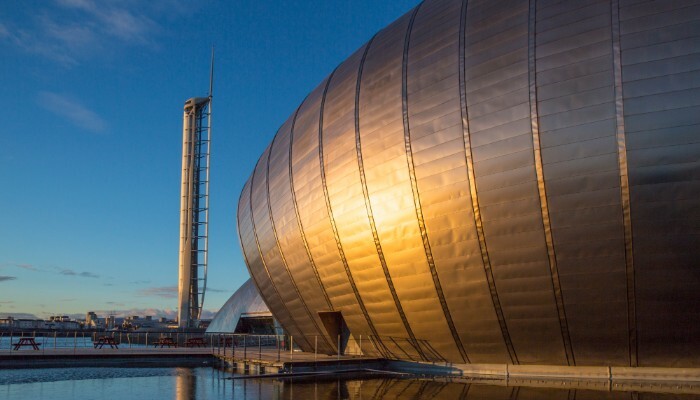 All work and no play can make even an astronaut a 'dull boy', so when you're done exploring the cosmos from 9-5, Scotland has an amazing range of innovative attractions for you to immerse yourself in. Scotland's space and engineering sector is continuing to grow and is fast becoming a highly sought after location for companies and a major player on the global scene. However, even the great minds exploring the 'great beyond' need to make the most of their down time. Thankfully, Scotland's enviable work/life balance means that people working and living here can experience the best of both worlds. And when the telescopes are put away and the tools are stored, you can get out and enjoy some of Scotland's amazing attractions. From ground-breaking feats of engineering to ancient castles, road trips through stunning Highland landscapes to heritage whisky distilleries; Scottish visitor attractions are increasingly harnessing new technology to help enrich and expand their unique offerings. Here are several attractions adopting forward-thinking, digitally savvy, and sustainable approaches. What makes Glasgow Tower different from any other observation tower found in cities across the world? Well, this immense, futuristic structure is the tallest of its kind on the planet and is capable of rotating 360 degrees. At 127 meters high, it’s also the tallest free-standing structure in Scotland. What’s more, its ingenious design also means it can rotate with ease into the direction of the wind. Take the 2.5 minute lift journey to the top for breathtaking panoramic views of Scotland's largest city - but that is really just the start. You can also explore a virtual panorama with the help of iPads using GAR (Geo-located Augmented Reality) technology to see all 360 degrees around the viewing platform. Zoom in to see some of the city’s major landmarks while comparing and contrasting the ever-changing vista with contemporary and archived images; all without moving a step. Find out more about Glasgow Tower at VisitScotland.com. Whisky distilling is a time-honoured art; a practice honed through centuries of carefully observed craftsmanship. It is also a process which is increasingly open to innovation. This is especially true at Arbikie, a microdistillery on the Angus coast, which applies advanced production methods to raw ingredients to create gin, vodka and now, an exciting addition to Scottish whisky; the first-ever rye distilled whisky produced in Scotland in a hundred years. Arbikie just released its bottled batch of this rare spirit, the end product of over four years of research and experimentation, using specially grown strands of rye grown on the adjoining farm. Fortunately for whisky lovers, this delicious spirit is worth the wait. Find out more about whisky at VisitScotland.com. The Macallan is undoubtedly one of the most prestigious names in whisky. 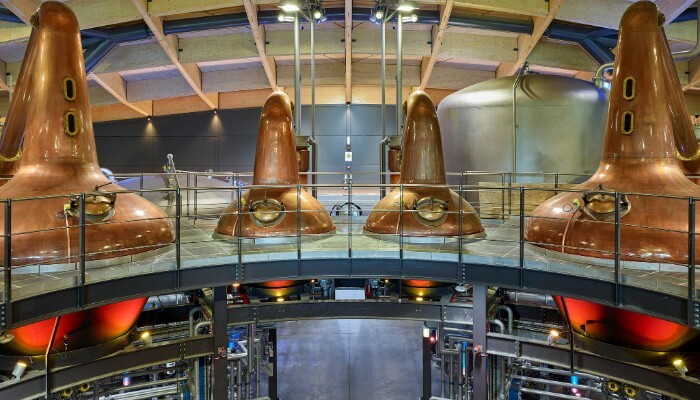 Last year it opened its new futuristic distillery on its Easter Elchies estate in Moray. Blending seamlessly with the surrounding greenery and undulating hills, each and every element of this space-age structure represents a remarkable fusion of centuries-old heritage and modern innovation. It is powered by 9% renewable energy, while its grassy roof is the most elaborate timber roof structure in the world. The design of the cathedral-like interior is both beautiful and industrial, leaving the complex engineering behind this huge-scale operation exposed. The immersive tour of the facility is equally dynamic. The entire production process is brought to life with sleek multimedia installations and plenty of intervals throughout where guests are invited to touch and nose the precious whiskies. In short, it’s a whisky experience quite unlike any other. Find out more about the Macallan Distillery and Whisky Experience at theMacallan.com. Bannockburn, a suburb located just outside of Stirling, is the site of the most decisive battle in Scotland’s Wars of Independence. The Battle of Bannockburn saw Robert the Bruce lead his vastly outnumbered troops to victory over the army of the English king Edward II. Today, the location is the first tourist attraction in the world to use fight choreography and state-of-the-art 3D and motion-capture and technology to recreate the sights and sounds of medieval warfare. Hear the testimony of those who fought in 1314 and learn about the weapons and military strategies used by Bruce’s army. Put your newfound knowledge to the test and take part in the incredible battle simulation experience which puts you at the virtual heart of the battle. Find yourself ducking from barrages of arrows overhead, feel horseback cavalries whizz past, and exchange enemy secrets with Scottish spies. It's a truly remarkable recreation of this pivotal event in Scotland's timeline. 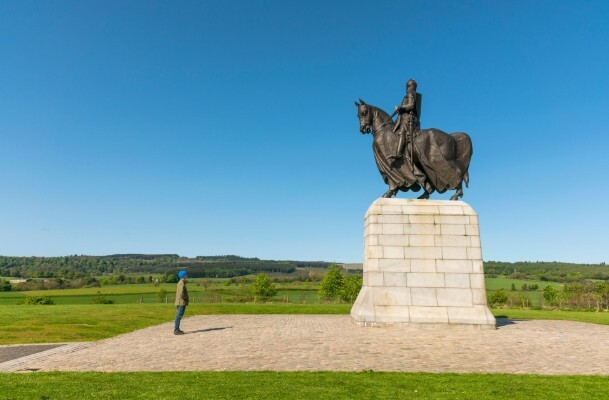 Find out more about the Battle of Bannockburn at VisitScotland.com. It goes without saying that Scotland is a history nerd’s paradise. There are so many amazing buildings to explore, from ancient ruins to romantic castles and modern marvels. But how are they preserved for future generations to learn from and experience? Find the answer at the Engine Shed in Stirling, the home of Scotland’s Building Conservation Centre. Located in Stirling, the shed opened its doors in 2017 to educate the public on the history and modern state of architectural conservation in Scotland. This hands-on museum traces the history of conservation techniques through a fascinating mix of multimedia exhibits as well as showcasing the different methods and cutting-edge technologies used to save historic buildings. See how scans are used to create 3D models of vulnerable structures and learn even more through the power of AR (augmented reality). 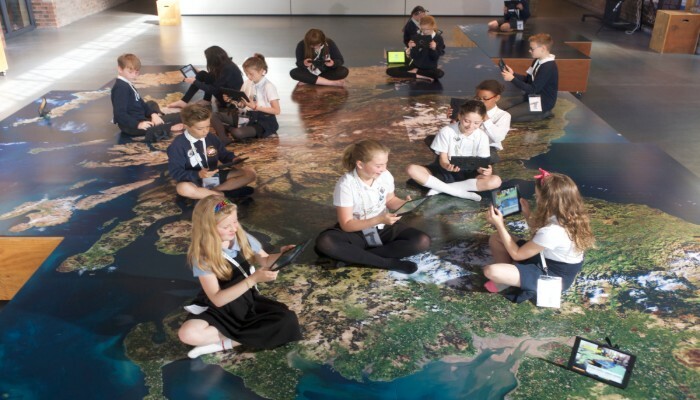 Using an iPad ‘sweep’ across a giant map of Scotland to get up close to historic buildings across the land and delve head-first into their conservational journey. Find out more about the Engine Shed at VisitScotland.com. Like the sound of driving down Scotland’s magnificent North Coast 500 route in a fully electric hybrid vehicle? There are now around 42 rapid charging points evenly distributed along the entire 500 miles (804 km) of the route, which allow drivers to recharge up to 80 percent of their battery power in just 30 minutes. 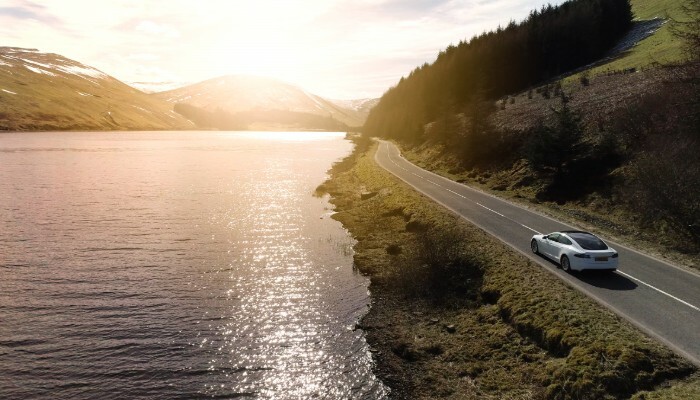 Enjoy the scenic beauty of the route which snakes its way through Wester Ross, Sutherland, Caithness and Inverness-shire, safe in the knowledge your journey has contributed to zero carbon emissions. In a world where climate change is an ever increasing problem, it's reassuring to know that you can enjoy this unique experience with a clean conscience. Even better, if you don’t actually own an electric car of your own you can hire one from Ecosse EV. This company not only offers chauffeur driven experiences, but also self-drive tours in luxury Tesla vehicles. Find out more about the North Coast 500 at VisitScotland.com. 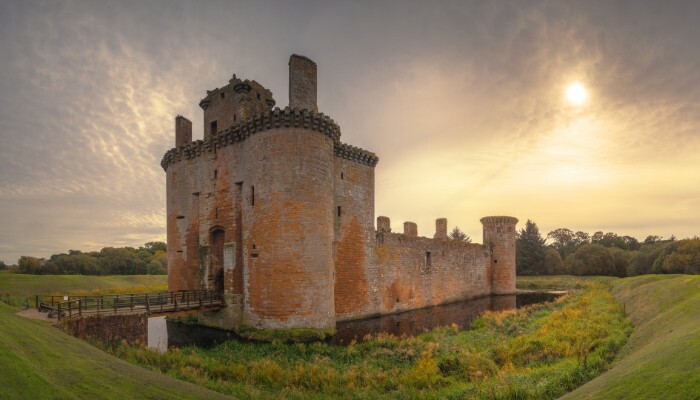 The 13th century Caerlaverock Castle near Dumfries is about to bring its visitor experience into the 21st Century. One of Scotland’s most distinct heritage sites will soon be offering an augmented reality (AR) experience to visitors which will enrich their exploration of the unique triangular building and its nearby nature trail, with animations bringing its fascinating story to life. The launch date of the app is still to be confirmed but you can get a preview by downloading the Scotland VR App which takes you on a virtual tour of some of Scotland’s most iconic locations. Find out more about Caerlaverock Castle at VisitScotland.com.